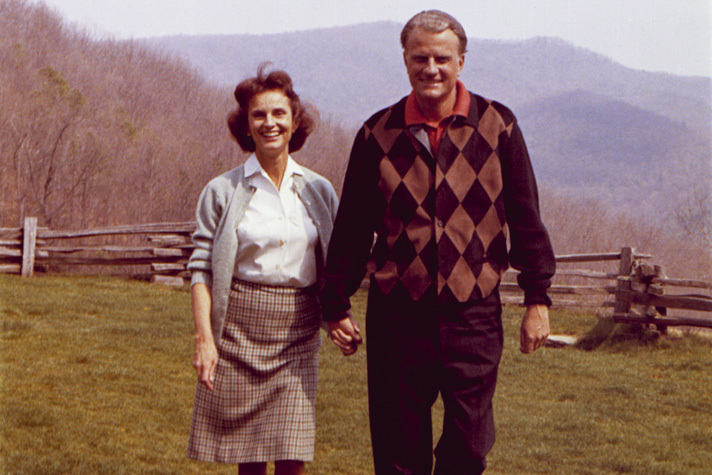 The love story of Billy and Ruth Graham is one for the ages. The two were married for more than 60 years, until Ruth went to be with the Lord in 2007. The Grahams believed a good marriage consisted of three persons—the husband, the wife and God. As we approach Valentine’s Day, soak in these five pieces of practical, Biblical wisdom to strengthen your own marriage or encourage a married couple you know. 1. Many of my friends have broken marriages. How can I prevent divorce? 3. My spouse wants to leave me. Is this happening because God is mad at me? 4. What’s the big deal with looking at something mildly pornographic online? 5. Will God lead me to the right mate? How can I make my marriage stronger? Does God know how hard it is when my spouse is far from home? Ponder these poems about love and marriage by Ruth Bell Graham. Bonus: How can I appreciate my imperfect spouse? Read this article by Gary Thomas, author of Sacred Marriage.